There are several reasons one would establish a microbial monitoring program for a non-sterile cleanroom. Among them are evaluating sanitization and disinfection efficacy, monitoring cleanroom production and lab environments, monitoring and qualifying personnel, and validating the cleaning process in and of the cleanroom. Building or retrofitting an operation to be environmentally friendly is not a new idea, but it is an increasingly popular one. On top of numerous benefits, executives feel it is both the “right thing” and expected by clients. However, with cleanrooms, there are many people who decide not to go green. Here we will outline some things to consider for your own facility. Leadership in Energy and Environmental Design (LEED) is the most widely used green building certification program in the world. It is a voluntary program providing third-party certification of green buildings through the US Green Building Council (USGBC). It’s a certification process for materials, methods of construction, operation, and also maintenance. Cleanrooms depend on people in a number of ways. Staff is needed to carry out tasks, but they are also responsible for completing tasks correctly. In a cleanroom, there is a very clear, “correct” way to perform duties. Furthermore, people are most responsible for producing contaminates. Any failure in a cleanroom is most likely the result of a person who didn’t follow protocol. Why does this happen? Good people and good workers are still prone to mistakes, but that isn’t entirely what is wrong. People who are not engaged, improperly trained, or not invested in the company’s mission are less likely to give it their “all” when at work. So how does a manager help staff be all they can be? 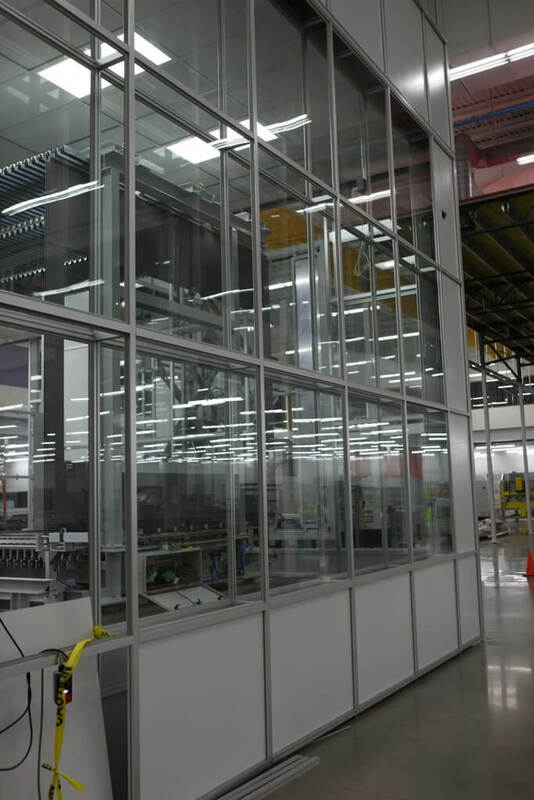 Installing lighting systems in a cleanroom can be a challenge because of the air filtration systems. 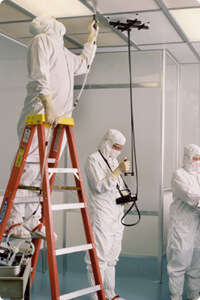 Depending on the class of cleanroom, the ceiling may be covered with filters, leaving little room for light fixtures. Yet finding a lighting system that works effectively with the HVAC system is only one piece of the puzzle. You still need fixtures that maintain the integrity of the workspace, require little maintenance, and of course, provide appropriate light. When choosing your lighting system, the first thing you’ll look at is the fixture style. There are three common ones, and choices depend largely on cleanroom class. ISO 8 to ISO 5: Recessed troffers are most ideal in these environments. There is enough space in the ceiling and plenum in all cases. 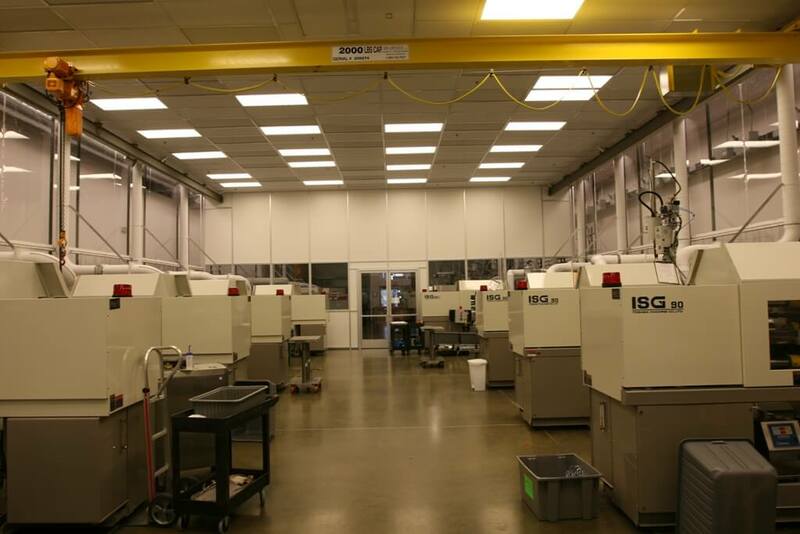 Your typical ISO 8 – 5 cleanrooms are pharmaceutical, semiconductor, chemical lab, and electronic assembly.